Nuts are often touted as the answer when someone on a restricted diet is seeking a new source of protein to replace the red meats we once ate. I’m sick of hearing about nuts, principally because I have never liked them, hate the taste, get chills from eating some of them and generally don’t like to think that the only way I can survive these days is by eating nuts and twigs all the time. I also disagree with those who say the answer for our obesity epidemic is for everyone to stop eating meat and just eat things like ancient grains and sprouts. No nuts for me, ever. So I was happy to see an article in The Atlantic recently saying basically the same thing. The author makes the point that not everyone can afford to shop only at Whole Foods (who can really) and that eating like some of the anti-packaged foods forces advocate is impossible for a large swatch of the country. Pretty radical stuff, there’s already been backlash from the forces of anti-processed foods. I don’t defend the food industry and some of the junk it’s been pushing on us but I think the reaction to it has gone too far in the opposite direction as well. Food science is still a guessing game and I have no doubts things people are swearing are scientifically true today will be overturned in the future. That’s just the nature of the scientific discovery process. Heredity had more to do with my health problems than food, I firmly believe. Knowing that was what kept me alert to the warning signs that prevented me having a heart attack. Food may have contributed to the problem and so I’m now living on a restricted diet to help prevent any future artery blockage. 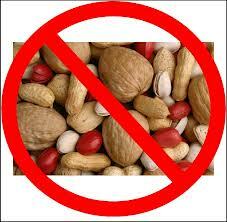 But to the people who tell me to eat nuts, I say nuts to you. I’m eating more fish and white meat chicken for protein and enjoying my weekly allowance of red meat.